Aaron Perkins with a winter steelhead caught on a dead-drift presentation. 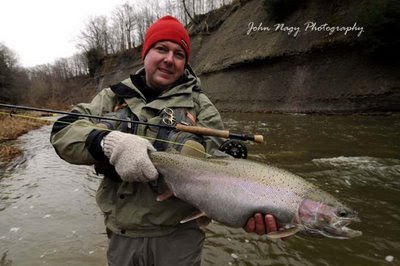 John Nagy offers instructional steelhead guide trips on the Lake Erie tributary streams. Trips are run from September through May in Ohio and Pennsylvania. John Nagy's trips are truly instructional. He teaches his customers every aspect of Lake Erie tributary steelheading with a fly rod (well, as much as can be covered in a one day outing!). They often reflect the large amount of information presented in his Steelhead Guide Book on fly fishing the Lake Erie tributaries. -Picking the right tributary stream based on current weather and run-off conditions. -Learning the access areas of a tributary (hiking versus "car-door" fishing). -Reading water to locate steelhead in specific water types. -Fly line and leader control for dead-drifting techniques. -Effective fly fishing equipment systems. -Fly selection based on water conditions, available light levels and water temperatures. -Proper steelhead fighting and landing techniques. 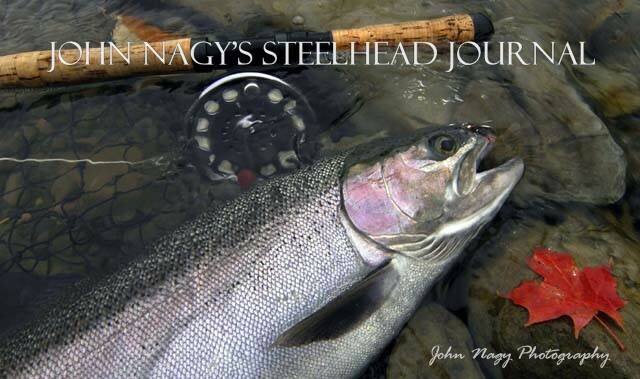 -John Nagy's philosophy on the "total" steelhead experience. 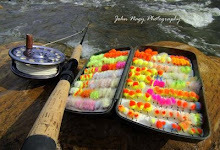 All fly tackle and flies are supplied by John Nagy. Customers are responsible for chest waders (felt or studded bottoms are best), proper clothing, fingerless gloves, polarized sunglasses, snacks, water, lunch and camera. 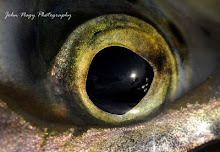 John Nagy encourages catch-and-release fishing during his trips and does photography during the trip with his Nikon camera equipment as well as the customers camera.